Having wine at the Hollywood Bowl is not mandatory but, c’mon. It’s basically a picnic with a concert thrown in. How can you not want some vino to go with the experience? The Bowl, squeezed in between Hollywood and the 101 Freeway, is an outdoor amphitheater with wooden benches for seating and restaurant markups on wine, by the glass or bottle at the concessions stands. People really like to bring their own food - yes, you are allowed to BYO - and that goes for wine, too. We got a group together for an appearance by Brian Wilson at The Bowl, during my wife’s birthday month. Life is short - we celebrate for 30 days, not one. We organized a dozen-and-a-half friends to join us for the event, which is no small trick in Los Angeles. At one time, we lived two blocks away from some very good friends and saw them twice a year. It's tough to coordinate with one couple, let alone eight. 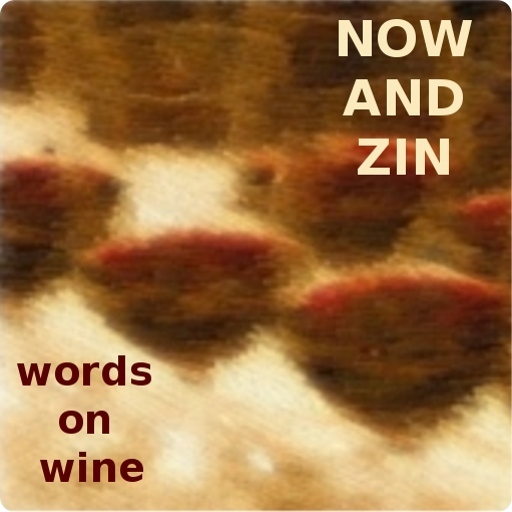 Whether the draw was the former Beach Boy or the promise that we would bring wine, I couldn't say, but it fell together easily. The tickets were bought and distributed and a sandwich tray was ordered from the fabulous Rocco’s Deli in Los Feliz. The hardest part was lugging the food and bottles up the street from the parking lot. It's uphill all the way. In keeping with a loose “Italian” theme - my wife is of Italian heritage, the food was made in that style - we brought a couple of Italian Lambruscos, one that was languishing at home and the other we picked up on the way to the concert. 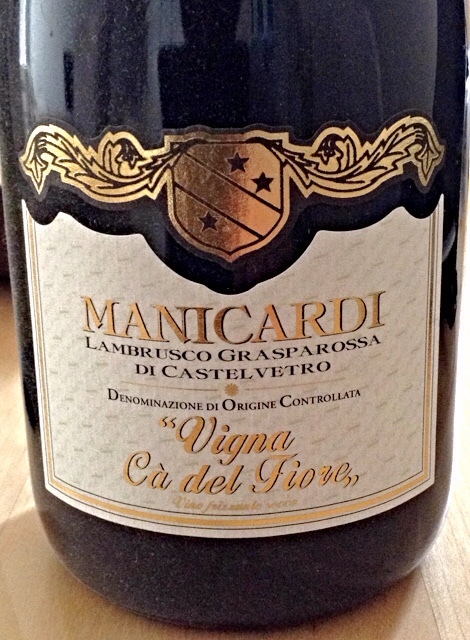 The Manicarti Lambrusco Grasparossa di Castelvetro Vigne Cà Del Fiore (that’s a mouthful) is subtitled, “Vino frizzante secco, sparkling red.” It has an easy-drinking 11% abv number and hails from the “sunny hillside vineyards” called Vigne Cà Del Fiore. 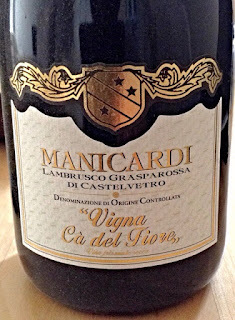 It is frizzante, or just a little bubbly, in the glass and it dissipates quickly. Deep purple and grapey-smelling, there is an earthy note to it that is absolutely alluring. It comes from the Emilio-Romagna area of Italy, which also brings us such delights as Parma ham and Parmigiano-Reggiano cheese. Chilled, it’s exactly what I would like my summer to be. On a side note, Rocco’s Deli, On Vermont Avenue in the Los Feliz area of L.A., has been hiding over there for some 40 years. My wife and I had been going to a pizza place called Rocco’s for years, run by a guy from Staten Island, only to discover we had the wrong Rocco. The aromas and attitudes in the place brought my wife right back to her northeast Pennsylvania roots. She had been looking for a place like this for decades, only to find it right under her nose. The eatery so completely addressed her homesickness that it actually made real tears appear. Their sandwiches are, indeed, to cry for.